Culture Machine’s founders Sameer Pitalwalla and Venkat Prasad on how they built a new-age media network. Back in 2011, two guys who met at Vidcon in the US, got talking about the digital media ecosystem. It was a meeting that resulted in the birth of Culture Machine, a media and tech digital network, two years later. 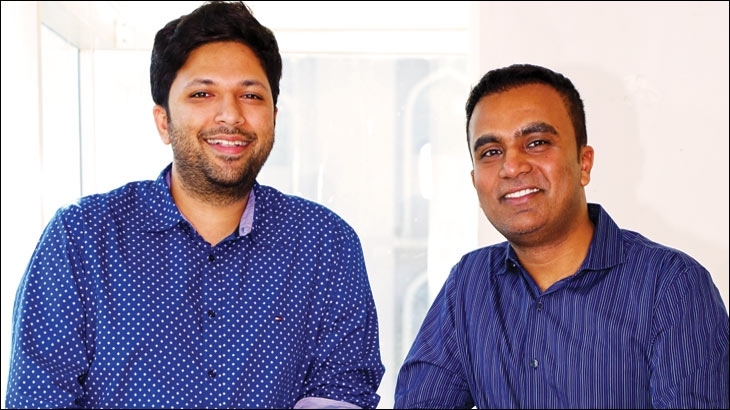 Founders Sameer Pitalwalla and Venkat Prasad have clocked 15 years collectively in the video domain (Pitalwalla at Disney and Times, and Prasad at Google and YouTube, among others) before setting up Culture Machine. Culture Machine’s business model is centered on media and technology. In media, it operates 715 YouTube channels and owns five brands – Being Indian (youth entertainment), Blush (a lifestyle channel for the modern Indian woman), Put Chutney (entertainment and comedy, Tamil), VIVA (entertainment and comedy, Telugu) and Awesome Sauce (food). The average monthly views for the five channels are 167 million on Facebook and 27.9 million on YouTube so far. In tech and data intelligence, it has tools that analyse content (trawling through 2.5-3 billion videos daily) and gauge viewer preferences to provide video solutions. Recent developments include a new studio for premium long-form content, a content deal with the messaging service, Hike, while Put Chutney will go on linear TV via Star Vijay. While business development, sales and content are under CEO Pitalwalla, Prasad is the CTO/COO looking at products, engineering, tech, products, finance and analytics. Going back to your 2013 launch, were there any ‘aha moments’? Sameer: The ‘aha moment’ was built over 10 years. Venkat’s been working on YouTube since it was acquired by Google; I’ve been working on it since it entered India. We’ve seen the space grow from the pre-iPhone times to iPhone and then to YouTube. Is it really a good thing to be that early in this space? Sameer: It’s bad to be too early but good to be arriving a ‘little before the guests do’. When we met for the first time, I remember us thinking, “What would it take to put technology in every step of the way – not just for distribution and creation, but right down to production?” Tech was absolutely necessary to the way we designed the company. Venkat: Earlier business models centered on talent or content aggregation, but we saw a much quicker way to grow, similar to the West, where certain companies scaled up quickly and pivoted to original content or other models. Here, we saw innovation happening with distribution and personalisation through Facebook and OTT players. But there was no innovation upstream – in content production itself – which was inherently not scalable in the traditional way. We wanted to use technology to first personalise and then produce at scale which led to our tech platforms. Did you see more markets open up as your products took shape? Sameer: While the core technology helped us scale our own brands, we also realised that the tools need not be limited by our physical infrastructure in terms of content production because our tech could travel. We began to experiment 8-9 months ago to see if there was appetite in other markets. The initial success in South East Asia gave us an impetus to look at that as a separate revenue line item. Did it all happen too big, too fast in terms of funding too? Venkat: I’ve seen three booms and busts – two in the US, one in India. Every business plan was getting funded – few survived, but those did became the Amazons and the big networks today. When the market realities change, you need to rein back and focus on unit economies. Where do you think you are now, in that context? Sameer: Somewhere in between both. We’ve been well-capitalised as a company but the main change came in eight months after the second round of funding. What was needed in the long term? We decided to focus on our own properties. In fact, many who brand themselves differently in the market are essentially aggregators. For us, that has come down to 20 percent revenue contribution from 60-70 percent. It is decreasing every month while the revenue base is increasing. How crucial is this kind of (forward) thinking? Sameer: In our industry, when global platforms make changes, those results vis-a-vis growth are seen immediately in terms of the consumer. The advertiser takes more time as there’s money involved. Technology predicts demand and everyone is a laggard inherently because of the way platforms work. But we have the ability to not just react, but adapt and then thrive, which comes down to capability. Venkat: Two years ago, we were already pushing for Facebook video (it was in beta) and vertical videos. Is the market dynamic enough? Sameer and Venkat: For the consumer it is. The advertiser is catching up. Look at Youtube – 15 percent fill rate on the inventory – because they couldn’t react to Jio. The world has been waiting for this rollout for five years and when it did, it came like a Tsunami. We’re lucky with the way our company is. We already had a raft which we built into a canoe and today, we have a warship, which we are arming constantly! Video was touted to drive digital advertising this year, what’s been Jio’s impact? Sameer and Venkat: Roughly 10 percent of the total digital ad market (which is $2 billion) is the video ad market. Of this $200 million, YouTube takes up $120 million – that has come in just three months. Movement will happen now that the guy sitting in Panipat has come because of Jio. We are in the deep breath phase. Inventory has exploded and catch-up is happening this fiscal. How does the absence of third party measurement (and currency) affect the space? Sameer: Moat is the only one that’s got access to the likes of Snapchat but they are caught up in the US with the sheer quantum of the business there. Venkat: Currently, we have integrated our owned and operated properties in the US in the Nielsen system, so Indian buyers can look at our Nielsen-ratified rating. Venkat: There are two key areas – media and tech. Our media business is about our digital presence, media distribution systems and our owned and operated properties. The technology side comprises our Intelligence Machine (analytics), Video Machine (helps create videos at scale) and Business Machine (helps scale operations and workflow of the media business). Both IM and VM help clients create the right content. The vision is to bring all of this together. Why did you get out of talent management? Sameer: Building media brands is the cumulative effort of multiple people, not one individual. This is the modern-day sort of MTV with its VJs – some of them growing older, some whom the audience falls out of love with for whatever reason. A Cyrus Broacha reinventing himself won’t have a team around him, but ‘Being Indian’ reinventing itself does. Media gives individuals the ability to have a following and a voice, but when we stop following them passionately, individuals have to reinvent. What insights did you lean on when launching your own media properties? Sameer: ‘Being Indian’ started 5 months into our launch and many shoots were done in my one BHK in Bandra. It scaled up due to analytics. ‘Blush’ happened because of IM insights on women’s empowerment. ‘Awesome Sauce’ was on FB because we knew discovery would be better and food as a category was getting a lot more viewership on FB than on YouTube. You go multi-pronged and you play to your strengths, look at the advertisers you can leverage and factor in production setup, talent and investment into the decision. Sameer: Until now, we’d not branded our media properties with the corporate brand. The thought was always that the company is bigger than the products, but of late we have decided to make it more apparent that they belonged to us. What often happened was that as we were into talent management earlier, the faces were assumed to be managed by us whereas the overall channel was owned or built by us. We wanted to communicate that these brands belonged to Culture Machine. What are the consumption trends that you feel are here to stay? Sameer: ‘Live’ is big and we haven’t done anything to explore the format yet. Our idea of live is sport and news. ‘Stories’ is also growing. Venkat: Machine recommended – or assisted – content is becoming the standard now, and personalised AI is key. Live and Snap Spectacles are big in video. The other day, I got a ping about some event for a topic I follow. I clicked and saw it live for half an hour. I normally consume half an hour of video per week, but that day I saw two live videos for an hour. Sameer: On our channel Om Bhajan Bhakti, we went live with Maha Shivratri, and had 30,000 concurrent visitors and 250,000 shares in those two hours in the morning. This is just the beginning. Has live’s consumption met with the hype? How much do you look at FB to understand audiences? Sameer: We look at FB closely in terms of conversations which apply to it and also to understand what is going on in society in general. It’s quite powerful. Live is doing well though monetising is a challenge. But from a usability perspective, it has a lot of impact – in news especially. Netflix and Amazon are pumping money into slick content. Where does that place machine-led content? Sameer: It’s all about the difference between subscription video on demand and advertising video on demand which is primarily watched on the phone. There’s a clear wall there. Customer behaviour is different when it comes to reading the newspaper and watching television news, for example. Put Chutney will create content for Star Vijay. Who’s the intended audience here? Sameer: Star wants to engage millennial audiences by taking brands that they are familiar with and up-streaming it. Netflix recently partnered with mobile and DTH here. Is that a game-changer? Sameer: If consumers spend more time on digital over TV or print, it’s our playground. Eventually, all television will be an extension of an app, with properties competing across spectrums. Have you thought of putting up your own platform? Sameer: No, there are enough platforms in the ecosystem. We want to build media brands that are loved across platforms. That is our North Star.